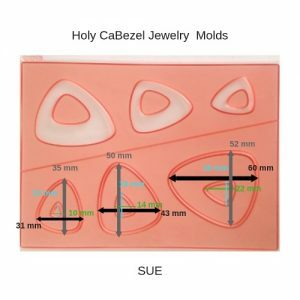 Our third series of the CaBezel Jewelry Molds! Use this CaBezel Jewelry Mold as a tool to create original wearable art. 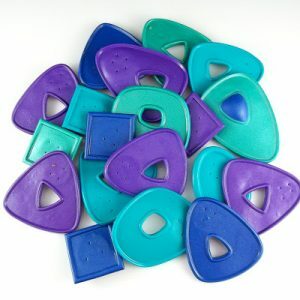 We supply you with the molds to create the bezels and the cabochons from polymer clay. You customize them! 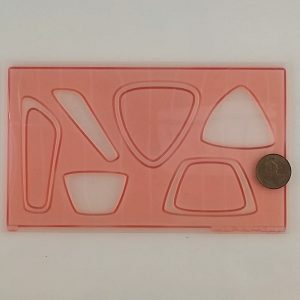 Each mold has 1 shape in 3 different sizes. 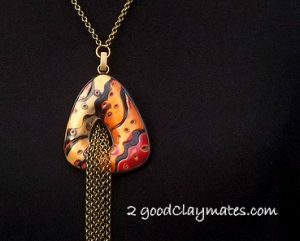 Perfect for pendants, brooches, bracelets and earrings. 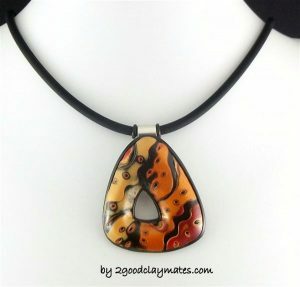 You can also fill the baked polymer clay bezels with paper and resin! 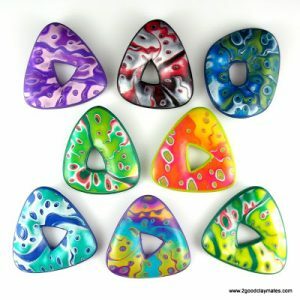 The CaBezel Molds have been around since 2008! 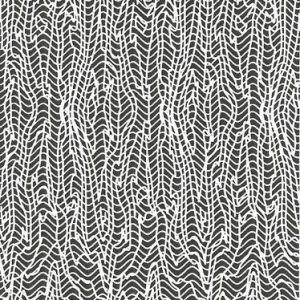 Designed by Artists for Artists. 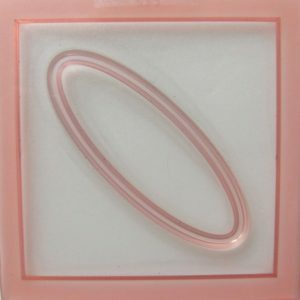 Our CaBezels Jewelry Molds are manufactured here in Canada by a small family run company. The molds are made of photo-polymer. Please keep out of direct sunlight. Store in a drawer when not in use. Clean up when necessary with a mild detergent and water. Avoid use of chemicals for a long life. Lemon-Egg CaBezel Jewelry Mold This CaBezel Jewelry Mold contains two different shapes in several sizes. One is reminiscent of a lemon and the other of an egg. 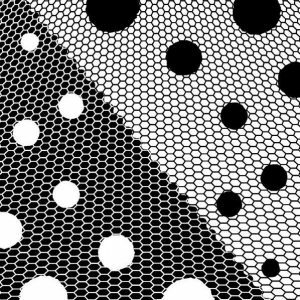 Both are great shapes to work with. 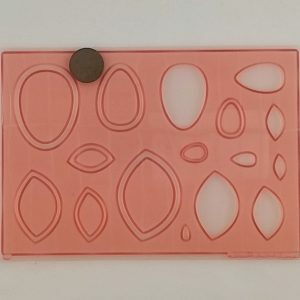 The bezels of this mold have been beefed up so they are nice and chunky (approximately 3/16") Use the large size for a focal and then surround it with the smaller versions of itself. 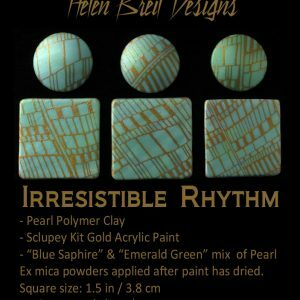 You can choose to cut around the bezel and then place it on top of sheeted clay that has your favorite texture. The lengths of the largest bezels are 2". The smallest bezel is the lemon at 5/8". 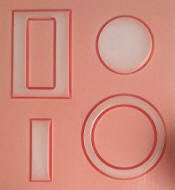 The Rectangle Round CaBezel Mold Just 2 shapes in this CaBezel mold but they are the classic favourites. 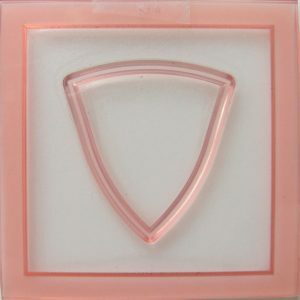 If you've always wanted to try the CaBezels, this mold is the perfect one. It is priced right at just $9.99. 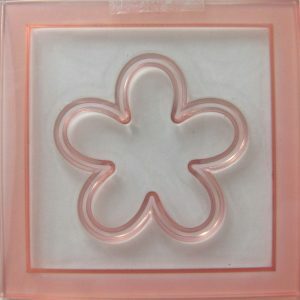 Petals All-in-One CaBezel Mold The All-in-One CaBezel Molds are different from the "Original" series of CaBezel molds. Use the A-I-O once to create the background or base of your piece. 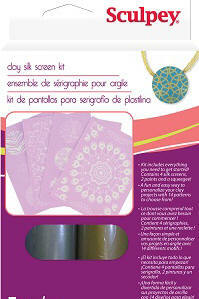 Use it again, concentrating on the inner area to create the cabochon. 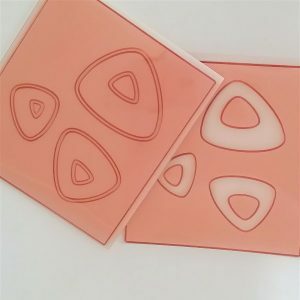 Cut around the cabochon and place onto the demarked area of your baked base. Who doesn't love flowers enough to have them around all year long? This cabochon measures 2" across at its widest point and sits inside a square customizable bezel that is 2½x2½"